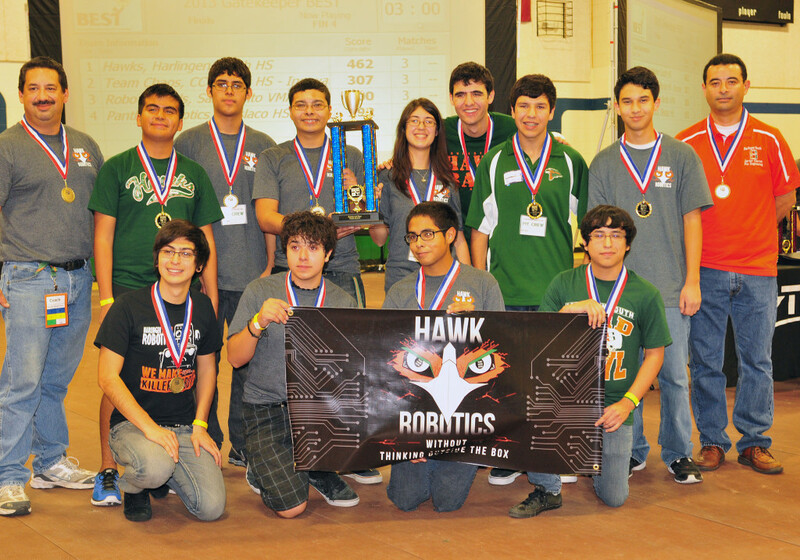 The high school robotics teams at the Harlingen Consolidated Independent School District swept the 2013 RGV Boosting Engineering, Science & Technology (BEST) Robotics Competition with an outstanding performance on Oct. 26. 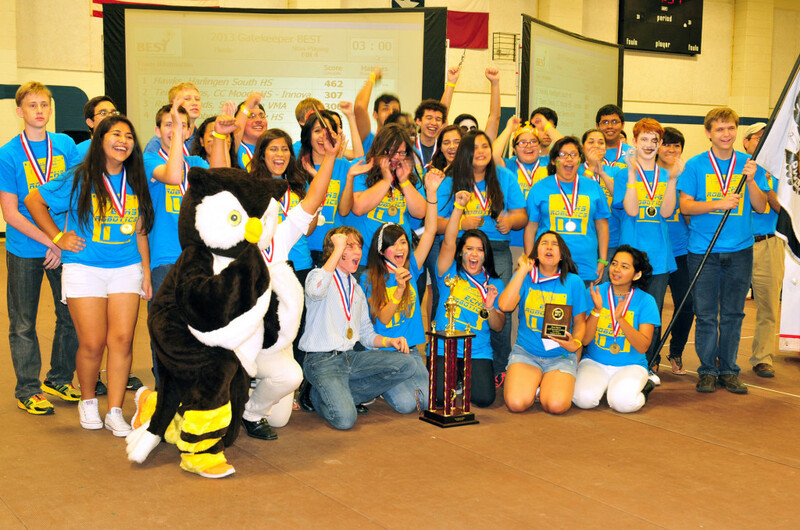 The Early College High School and Harlingen High School South teams took home first place in the BEST category, which represents overall excellence in all categories, and the Robotic Performance Category, respectively. The two awards are the most prestigious teams could receive during the tournament and were only the beginning achievements for both campuses. In addition to the highly coveted BEST Award, ECHS added the most spirit and sportsmanship award, first place in the Team Exhibit Category and third place in the Engineering Notebook Category to the day’s accomplishments. It was the second year HHSS had taken home the top spot in the Robot Performance Category. The team was also awarded the Most Robust Machine for the third consecutive year and the Most Elegant Design Award. With their awards, the teams also qualified for the Region BEST Robotics Competition in Dallas on Nov. 8. The competition brings together champion teams from across Texas and New Mexico to compete for a spot in the national tournament. Also, with a standout performance was the Harlingen High School team with a first place award in the Marketing Presentation Category. A total of 16 campuses from across the Rio Grande Valley competed at the BEST Robotics Competition, which was sponsored by Texas State Technical College (TSTC). To compete, teams were asked to help Squeaky, the original BEST robot mascot, get a hardware upgrade by designing and building a prototype robot to construct a Central Processing Unit (CPU) through three stages of motion. Teams had six weeks to design and build their robot, and were only permitted to use materials provided to them by TSTC. Students were also prompted to create a marketing presentation, team exhibit, spirit routine and engineering journal, which would showcase their design process.